There are many payment options when you want to buy cannabis seeds from dope-seeds.com but not all payment methods are available for all countries. If you want to pay by credit or debit card for cannabis seeds then this is possible if you are from any EU country including the UK, Norway and Switzerland but not Turkey. 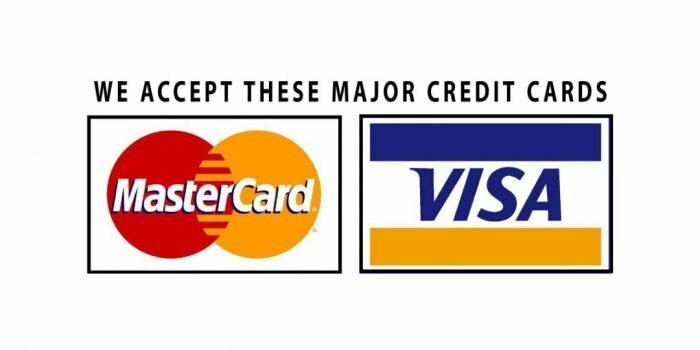 We cannot take card payments for cannabis seeds for countries outside of Europe unfortunately but there are other payment options for you and they come with a discount. Full list of countries where you can buy cannabis seeds with a debit or credit card - Austria, Belgium, Bulgaria, Croatia, Republic of Cyprus, Czech Republic, Denmark, Estonia, Finland, France, Germany, Greece, Hungary, Ireland, Iceland, Italy, Latvia, Lithuania, Luxembourg, Malta, Netherlands, Norway, Poland, Portugal, Romania, Slovakia, Slovenia, Spain, Sweden, Switzerland and the UK . The world of bitcoin is changing very quickly and all the time it is getting easier and easier to buy bitcoins with a debit or credit card. We are not currently able to accept card payments on our website and a lot of people want to pay by debit or credit card so we are writing this article to help explain to how buy bitcoins with a debit or credit card and get a 20% discount on all your purchases at dope-seeds.com. Where to buy bitcoins with a debit or credit card? We have recently been asked how to send a bank transfer from Australia to the UK so thought it would be best to write a quick blog post to explain how it can be done. To send a bank transfer from Australia to the UK you can either use your own bank account or a 3rd party transfer service which will often charge lower fees and give you a better rate of exchange. How does it work? All you need to do is add items to your shopping cart and check out as normal. After you have entered your delivery address you will be given the option of paying by credit/debit card for the normal website price or a discounted (10% cheaper) price for paying by one of the methods listed above. If you choose the direct payment option you will be given instructions on how to pay us using one of our direct payment options as well as an order number you use for your payment reference. All you will then need to do is make a bank transfer, pop a postal order in the mail, send a money order or go to a high street bank and then e-mail us confirming you have sent payment. Once we have received payment we will send your goods out - simple! Does it take longer than debit/credit card payment? Sending payments in the mail will take a little longer but if you do a bank transfer or go into a bank branch and make a payment it often shows in our account right away so we can get your order shipped out the same day! What are benefits? Well the 10% comes in handy and if you pay over the counter in a bank branch or send cash or a postal order in the mail then you retain 100% privacy - after all, its no business of the bank you use where you spend your money is it? buy cannabis seeds with bit coins at dope-seeds.com We are now able to take payment for cannabis seeds with bitcoins - A bitcoin payment option is now fully integrated into our shopping cart and we are offering a 10% discount to customers who choose this payment method! Bitcoins are a totally anonymous payment methods so its a perfect way to buy cannabis seeds. Get marijuana seeds now with bitcoins! what are bitcoins? Bitcoin is a new kind of money. It's the first decentralized electronic currency not controlled by a single organization or government. It's an open source project, and it is used by more than 100,000 people. All over the world people are trading hundreds of thousands of dollars worth of bitcoin every day with no middle man and no credit card companies. It's a startup currency which has never happened before. Bitcoin is the first digital currency that is completely distributed. The network is made up of users like yourself so no bank or payment processor is required between you and whoever you're trading with. This decentralization is the basis for Bitcoin's security and freedom. Email let us send letters for free, anywhere in the world. Skype lets us make phone and video calls for free, anywhere in the world. Now there's bitcoin. Bitcoin lets you send money to anyone online, anywhere in the world for less than a cent per transaction! Bitcoin is a community run system not controlled by any bank or government. There's no wallstreet banker getting rich by standing between you and the people you want to send and receive money from. Bitcoin is more efficient than all competing currencies. This will drive its adoption in the same way computers were adopted, in that computers made people more efficient in competing in the marketplace. A currency has value by it being widely used. Bitcoin is a startup currency with a deflationary bootstrapping economy. Its use spreads by providing the speculator incentive. Bitcoin is going to be the biggest opportunity for innovation that the world has seen since the industrial revolution. An idea whose time has come.